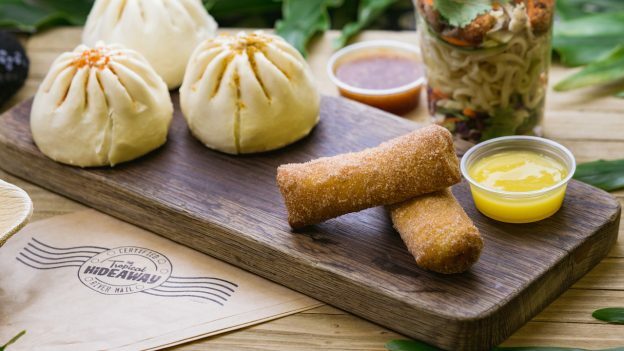 Also new at the Tropical Hideaway: Spiced Vegetable Bao filled with chickpeas and braised vegetables and Bulgogi Beef Bao filled with sweet chilies and potatoes. You can enjoy all these new treats (don’t miss the new Chilled Ramen Shakers here too!) while you look out over the Jungle Cruise attraction. 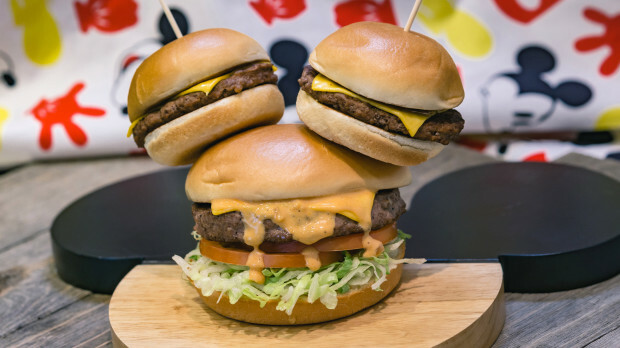 The Get Your Ears On celebration of all things Mickey Mouse has brought with it an overabundance of new treats to enjoy so expect to see many of these offerings on our top ten list! Our familiar kitchen sink sundae over at Gibson Girl Ice Cream Parlor features a birthday sundae celebrating our favorite mouse in either a Mickey or Minnie themed sink. I love that you get to keep the kitchen sink! Half the appeal of ordering this is for the Instagram post, I’m not gonna lie. But holy cheeseburger! You could easily split this one with a friend or just devour it all yourself. We don’t judge. One of the best parts of any new celebration at Disneyland? The speciality churros that come with! 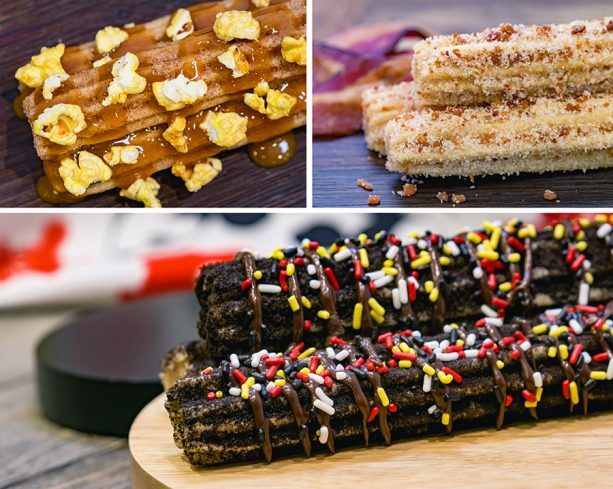 The three pictured above are caramel corn, maple-bacon, and chocolate with sprinkles. And those are just in California Adventure Park! 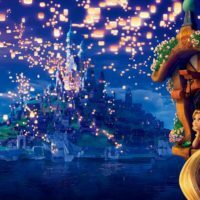 Over at Disneyland you can find churros with cookie butter and marshmellow creme dip, a Fantasia themed churro, and a banana pudding churro! Yum! This isn’t your ordinary macaron! 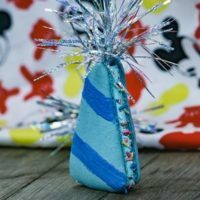 This birthday hat themed macaron is filled with cotton candy, sprinkles, Pop Rocks, and buttercream filling! I can hear my dentist crying now. Find this explosively delicious treat at the Cozy Cone Motel in Cars Land. 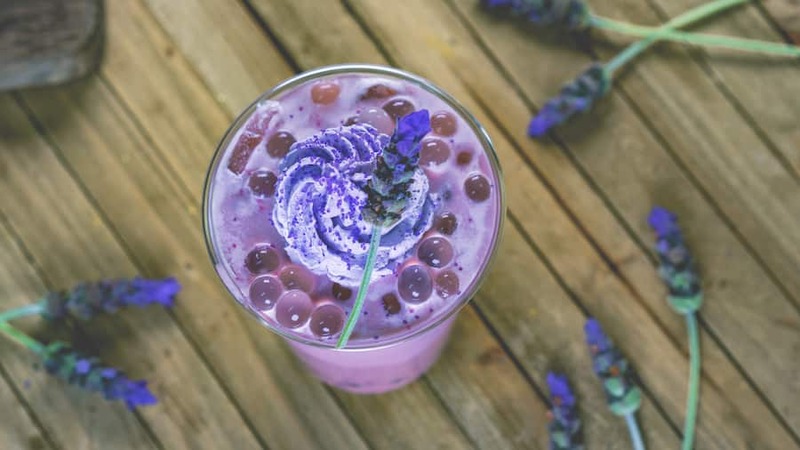 This treat in honor of the parks featured color of Potion Purple is almost too pretty to drink! Almost. 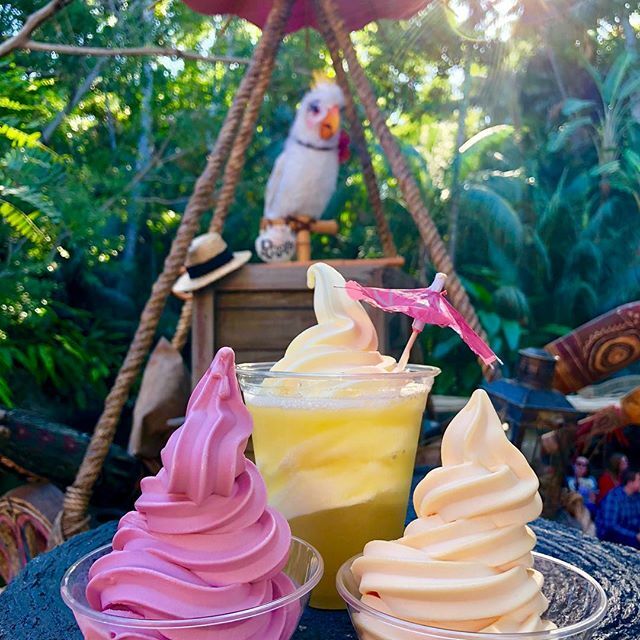 You can find this drink with lemon popping pearls, purple whipped cream, and lavender sugar at Red Rose Taverne in Fantasyland. And it’s not just the sweets that are turning purple! You can find these Purple Fish Tacos over at Rancho del Zocalo in Frontierland. 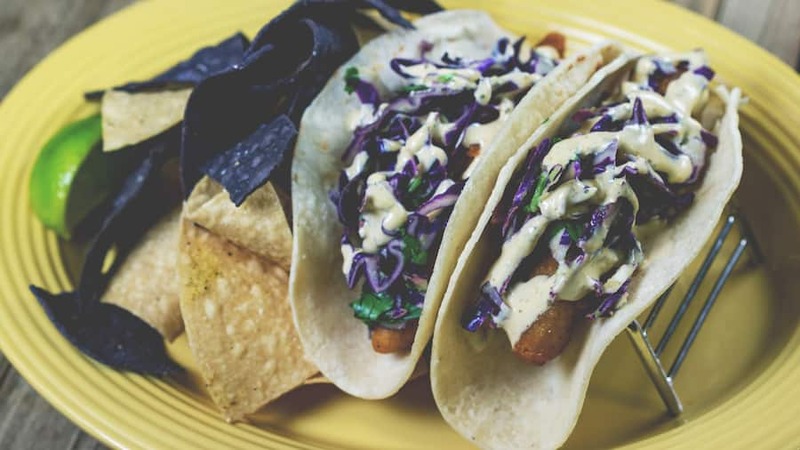 These Baja-style fish tacos with purple cabbage slaw and spicy lime aïoli come served with a side of blue corn chips. Okay back to the sweets (who can blame us? )- check out this delicious dessert from the Lamplight Lounge. This deliciously purple dessert features blueberry cream cheese ice cream and topped with purple berry drizzle. Anything from the Lamplight Lounge is usually a win in my book and this is no exception. Okay, okay. This isn’t really new. But since the Tangaroa Terrace just reopened I’m going to count it. And also because so many guests don’t know about these! Dole Whip with rum? Now you’re really on a vacation. Find these at the restaurant, Tangaroa Terrace, inside the Disneyland Hotel. You don’t need to be a guest at the hotel to enjoy this adult treat! 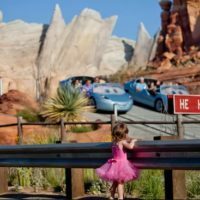 Previous Post: Discount Disneyland Tickets 2019 – 12 Best Ways to Save on Disneyland Tickets!